Memorial Day weekend in the US marks the unofficial start of summer, a time when many photographers’ minds turn to thoughts of travel. But you don’t need to travel to a new location to practice your travel photography. There are endless opportunities in your own town. 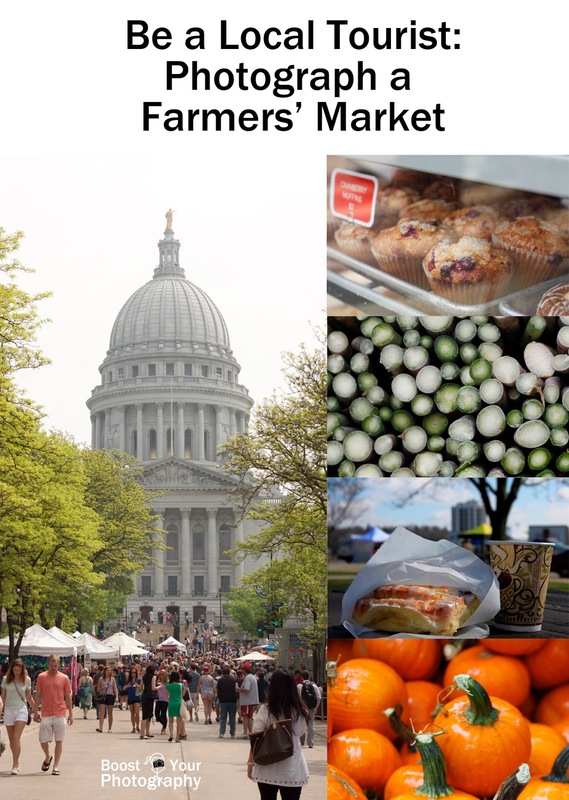 A summer-Saturday tradition in Madison is the Farmers’ Market, where local farmers, producers, and crafters crowd the square around the Capitol building to sell their wares. This practice follows from traditional European markets when farmers would bring their goods into the cities for sale. 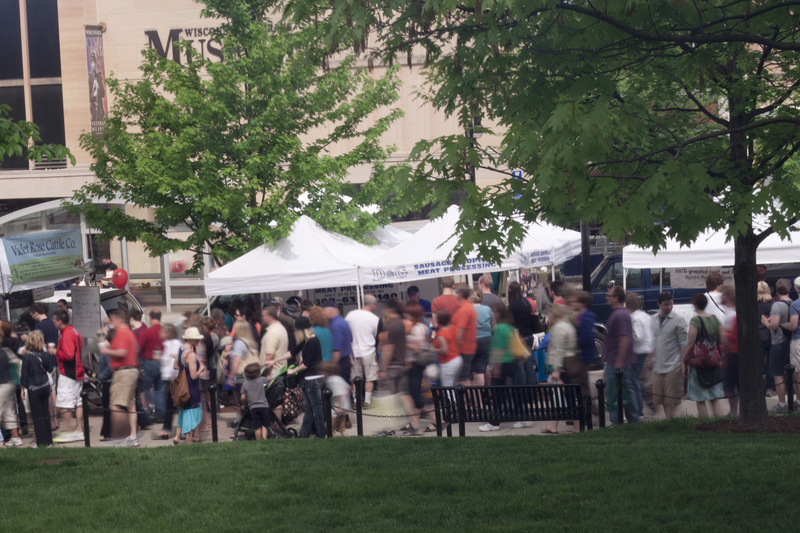 The main Madison Farmers’ Market was established in the early 1970s and is now the largest producers-only farmers’ market in the country (at least according to their website). The concept is so popular that dozens of smaller markets can be found in and around the city on any given weekend. The best part of my Saturday is the two block walk to the neighborhood Farmers’ Market and the tasty Danishes that await me! Celebrating the first Danish of the season with market in the background. Farmers’ Markets are an excellent place to play with patterns. Fruits, vegetables, and flowers all offer opportunities and can be compared and contrasted in interesting and unexpected ways. Practice filling the frame with just one of a given object and see what results you can find. Or, look for where different objects are placed together and see what kind of compositions you can create. Stacks of asparagus make a beehive pattern. Farmers’ Markets are also a great venue for street photography, as you will find many people interacting, exploring, and enjoying what the market has to offer. Also, don’t forget the vendors! Screw up your courage and ask if you can take an environmental portrait – you can capture a strong sense of the individual as well as their surroundings. Or shoot from the hip and see what you are able to accomplish. Farmers’ Markets offer an abundance of produce and products that also lend themselves well to macro or close-up photography. (A series of earlier posts offers suggestions about inexpensive ways to achieve near marco-level effects without investing in an expensive macro lens.) While the photograph below is not quite to that level of detail, I did want to focus in an emphasize the details in the sugar crystals atop the amazing muffins. Be sure to also put the camera down and spend some time observing. What draws your attention? Is it colors, crowds, interactions, movement, delicious smells? Think about how best to convey that aspect of the Farmers’ Market in your photography. For me, since I so rarely visit the downtown market, what strikes me immediately is the crowds. There is such a constant hustle and bustle of people continuously in motion. But at the same time, there is a strange, agreed-upon order to the chaos. No matter when you go to this particular Farmers’ Market, the crowds will always move in a counterclockwise pattern. There will be a constant ebb-and-flow as people move in closer to the stands they are interested in, but they will always return out to the broader counterclockwise course. In the photograph above, I wanted to capture that feeling of motion and pattern. I had brought my DSLR but did not have my tripod or any special filters with me. So, I improvised by using a nearby bench to stabilize the camera and held my polarized sunglasses in front of the lens to mimic a polarizing filter. I was not able to slow down the shutter speed as much as I would have liked, but you at least get some sense of movement from the blur of the crowds. You do not have to travel far from home to be a tourist. 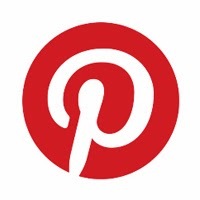 Think about events or happenings around your own town and neighborhood that could offer photographic opportunities. Apply the same skills and strategies that you would when traveling to your own town and surroundings. You might be surprised at what you find!